England have begun their much-awaited tour of Sri Lanka with a 3-1 win in the five-match ODI series. Following this series, the two teams have now faced each other in 74 ODIs since their first meeting in 1981-82, and have developed a closely-fought rivalry over the years. 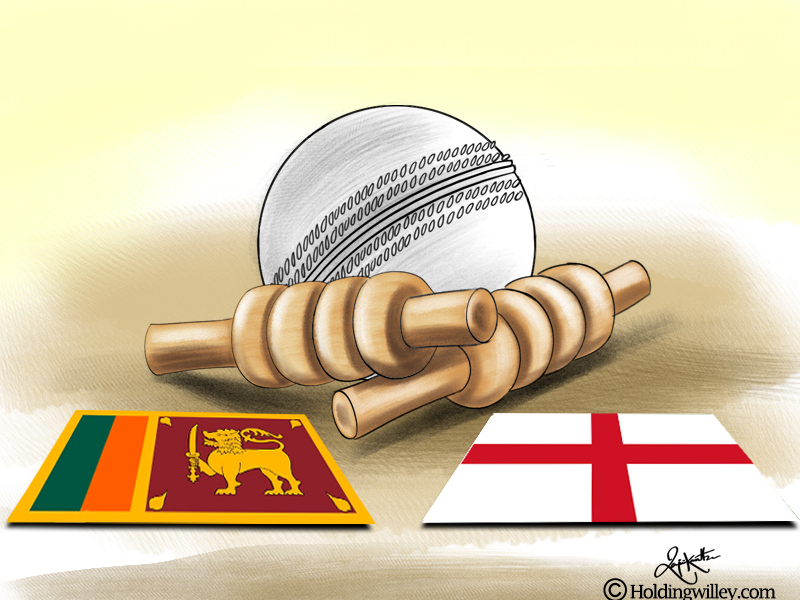 England hold a slight edge with 36 wins to Sri Lanka’s 35, with one match ending in a tie. Here is a look back at five of the most exciting Anglo-Sri Lankan ODIs, in chronological order. This was the first ever ODI to be played between England and Sri Lanka, and also the first official international to be played on Sri Lankan soil. The home captain Bandula Warnapura elected to field after winning the toss in this historic match, consisting of 45 overs per side, at the Sinhalese Sports Club. Graham Gooch and Geoff Cook added a cautious 55 for the first wicket before off-spinner Lalith Kaluperuma accounted for the latter. Gooch cashed in on some shoddy fielding and steered England to a commanding position. He was third out for 64 with the score at 152, after having shared in a stand of 69 with Ian Botham. Botham carted 60 in just 51 balls, but his dismissal to Sri Lanka’s premier pace bowler Ashantha de Mel triggered a calamitous collapse. England’s innings nosedived from 191/3 to 211 all out, with de Mel (4/34) castling last man Derek Underwood off the fourth ball of the final over. Sri Lanka would have really fancied their chances at this point. Opener Sidath Wettimuny decided to dig in, but wickets were steadily falling at the other end. When he was dismissed by debutant Paul Allott, Sri Lanka had lost three wickets for eight runs and were in trouble at 92/5. The sixth-wicket pair Ranjan Madugalle and Anura Ranasinghe brought their side back into the contest with a counter-attacking stand of 68 at nearly six an over. Though Bob Willis broke through Madugalle’s defences, Ranasinghe went on to a breezy 51 from just 41 balls before Man of the Match Botham halted his charge to make the score 187/8. The tail stretched the contest into the final over, but the experience of the English bowlers kept them at bay, restricting the total to 206/8. Just a day after the first ODI, Sri Lanka levelled the two-match series in what was another nail-biting encounter at the SSC. The hosts were put in to bat by Keith Fletcher and almost immediately found themselves on the back foot thanks to Botham. ‘Beefy’ struck twice to reduce the score to 5/2, before Roy Dias’ hit-wicket dismissal made it 43/3. Wettimuny played the sheet anchor again, and found support from 18-year-old debutant Arjuna Ranatunga. The duo put on 87 for the fourth wicket before Ranatunga was run out for 42. England kept the scoring rate in check with regular wickets, but were unable to get past Wettimuny, who carried his bat with 86* in a total of 215/7 from the allotted 45 overs. Gooch (74) and Cook halved the target by themselves with an opening stand of 109, but slow left-armer Ajit de Silva had both the openers stumped by Mahes Goonatilleke. The big wickets of David Gower and Botham too fell soon, and England were now 147/4. Disciplined bowling from the Sri Lankans was doing the trick. Despite having five wickets in hand, the asking rate for the last five overs was almost nine. Fletcher and Mike Gatting were up to the task as it came down to 14 runs from the last two overs. However, the next four batsmen to fall were all run out, before De Mel dismissed Willis to consign England to a three-run defeat with a ball to spare, much to the delight of the capacity crowd. Sri Lanka secured a thrilling victory in this controversial, high-scoring clash of the Carlton & United tri-series in Australia. Ranatunga, who became the most experienced ODI captain in this match – his 179th in charge – put England in to bat after winning the toss. England’s innings revolved around number three Graeme Hick’s sublime 126* from 118 balls that included five fours and four sixes. He was joined by Neil Fairbrother (78*) at 148/3 in the 29th over, and the duo put the Sri Lankan attack to the sword with an unbroken stand of 154 in 128 balls. This enabled England to post a daunting 302/3. The innings was marred by bitterness when square-leg umpire Ross Emerson called Muttiah Muralitharan for throwing in his second over. An incensed Ranatunga led his team off the field in protest, and it was only after 14 minutes that the match resumed. This incident led to acrimony between the two sides, which continued well into Sri Lanka’s innings. Romesh Kaluwitharana and Marvan Atapattu fell within the first four overs the chase, reducing Sri Lanka to 8/2. Sanath Jayasuriya cracked a typical 51 off just 36 balls before his dismissal made the score 68/3, at which point 21-year-old Mahela Jayawardene came out to the middle. Jayawardene shared in crucial partnerships of 66 with Hashan Tillakaratne and 89 with Ranatunga for the fourth and fifth wickets respectively. He went on to reach his maiden ODI hundred, and when he was seventh out, leg before to Vince Wells for 120 from 111 balls including nine fours, Sri Lanka still needed 35 from 28 balls. Calculated hitting from Upul Chandana and Roshan Mahanama brought the target closer as the match headed towards a tantalising finish; the latter’s wicket was the ninth to fall at 298 with seven balls left. The last pair maintained their composure, and incidentally, it was Murali who hit the winning run off the fourth ball of the final over. This was one of the rare close matches of the 2007 World Cup in the Caribbean, at the new Sir Vivian Richards Stadium in Antigua. Sri Lanka rode on a brace of half-centuries from Upul Tharanga and captain Jayawardene after Michael Vaughan sent them in to bat. Tharanga ground out a patient 62 while Jayawardene struck a breezy 56, the two adding 91 for the third wicket after coming together at 69/2. However, the middle and lower order could not capitalise on this platform. Sri Lanka lost wickets regularly once these two batsmen were dismissed, eventually getting bowled out for 235 in 50 overs. Sajid Mahmood (4/50) and Andrew Flintoff (3/35) were the pick of the English bowlers. England had a poor start as they lost openers Ed Joyce and Vaughan with just 11 runs on the board. Ian Bell (47) and Kevin Pietersen (58) steadied the ship with a sensible stand of 90 for the third wicket. But the pendulum swung again when England lost four wickets for 32, leaving them in trouble at 133/6. England needed another substantial partnership, which was provided by Ravi Bopara and Paul Nixon. They brought their team back into the contest, putting on 87 in 92 balls for the seventh wicket. Nixon fell in the 49th over, which meant England still had three wickets in hand when the equation was down to 12 from the final over. Dilhara Fernando (3/41) was entrusted with the last over. Mahmood took a single to give strike to the set Bopara, who duly hit a four to bring the requirement down to seven from four balls. Bopara (52) reached his fifty off the next ball, and it soon boiled down to him facing the last ball, with three to win. To England’s dismay, Fernando clipped the top of Bopara’s off-stump to ensure a two-run win for Sri Lanka. Sri Lanka were looking for redemption, following a 2-0 defeat in the preceding three-match Test series. They stuttered to 56/3 by the ninth over, at which point captain Angelo Mathews joined Dinesh Chandimal. The pair put the innings back on track with a fourth-wicket stand of 64 before Chandimal was dismissed for 37. Mathews consolidated further by sharing in a rapid partnership of 68 for the fifth wicket with Seekkuge Prasanna. It was Prasanna who overwhelmingly dominated this stand, throwing caution to the winds in the course of a blitzing 59 from just 28 balls. However, Sri Lanka lost two more wickets in the next seven overs, and at 225/7 with nearly ten overs still remaining, they were in danger of getting bowled out. Handy runs from Dasun Shanaka and Farveez Maharoof aided Mathews in the closing overs, and the eventual total swelled to 286/9. Mathews was eighth out at 266 for a solid 73 from 109 balls. The Sri Lankan captain made his presence felt with the ball too, and along with fellow opening bowler Suranga Lakmal, demolished the English top order to have the hosts’ score tottering at 30/4 in the ninth over. Captain Eoin Morgan struck a breezy 43, but Nuwan Pradeep removed him as well as Moeen Ali in successive overs to deepen England’s crisis. The score now read 82/6 in 18 overs, and a sizeable defeat loomed large. Wicketkeeper Jos Buttler was joined by Chris Woakes in this dire situation, and the two proceeded to turn the game around with an astonishing 138-run alliance in less than 25 overs - the second-highest for the seventh wicket in ODI history. But two wickets within the space of 15 runs – Buttler, who scored 93 in 99 balls, and David Willey, gave Sri Lanka the upper hand again. The equation for England at this stage was 52 runs from 26 balls with two wickets in hand. A determined Woakes, in the company of Liam Plunkett, brought it down to 14 from the last over. With seven needed off the last ball, Plunkett smashed Pradeep for six over long-off to secure a dramatic tie. He thus became the third man after Pakistan’s Asif Mujtaba (against Australia at Hobart in 1992-93) and the Netherlands’ Michael Rippon (against Ireland at Amstelveen in 2013) to tie an ODI by hitting a six. Woakes remained unbeaten on 95 from 92 balls, and was named Man of the Match.